What did you do on Memorial Day Weekend? 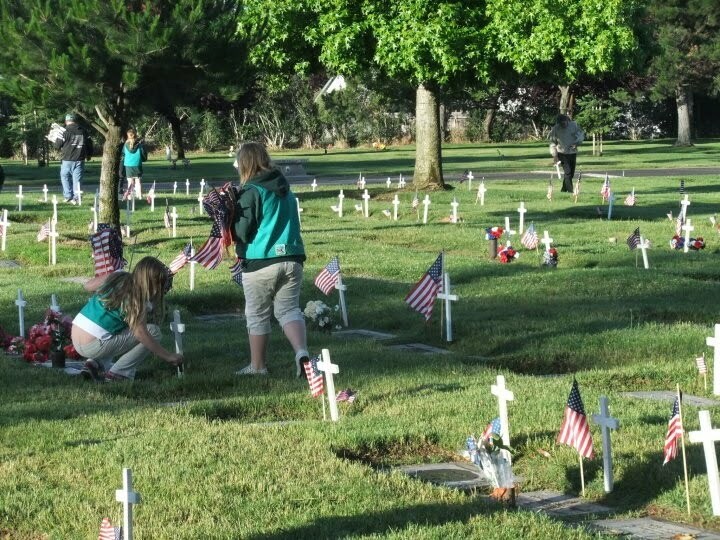 Junior Girl Scout troop 845 of Maidu Creek Service Unit put white crosses and flags on two sections of the Veterans laid to rest in the Sunset Lawn Chapel of Chimes Cemetery in Sacramento. Several of the girls have family members in this cemetery that are Veterans, so it was very special. This is the third year the girls in this troop have done this. Previous Post National Emergency Responders Thank You Day!